Who needs to be involved in decision making for human rights issues? Once an organisation has determined its approach it will have to also consider how human rights are embedded across the business. These are some of the key personal that should be involved in developing a robust Business and Human Rights approach and to create a statement and policy that will withstand scrutiny from stakeholders. This guide helps organisations develop the approach and involvement of key team players in developing a business and human rights framework. This guide is also found in the MSA toolkit. 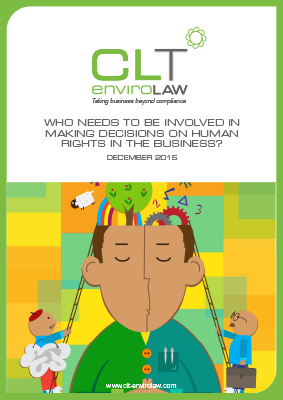 Home • Guides • Human Rights and business: Who needs to make decisions?